Trader Peter Tuchman works on the floor of the New York Stock Exchange, Friday, Feb. 2, 2018. Technology companies were leading stocks broadly lower in early trading, extending the market's slide into a second day. 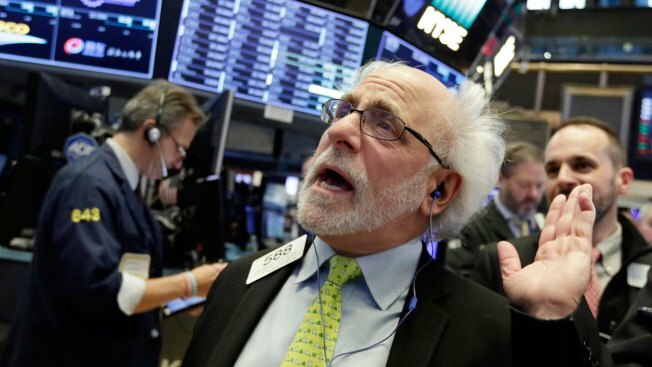 U.S. stocks fell sharply on Friday after a stronger-than-expected jobs report sent interest rates higher, with major indexes on track for their worst weekly performance in two years, CNBC reported. The Dow was down 665.75 points at the closing bell, with the 30-stock index falling below 26,000 to its lowest point since Jan. 16. "The key for the market today is rising interest rates," said Mike Baele, managing director at U.S. Bank Wealth Management. "The old adage is: 'Bull markets don't die of old age, they are killed by higher interest rates.' That looms large." The Federal Reserve has forecast three rate hikes for 2018, though market observers thought it was now possible the Fed could raise rates four times this year.